What are the BMDCR membership requirements? Any person with an interest in Bernese Mountain Dogs is welcome to join our club. You do not need to own a Berner. In fact, if you are considering getting a Berner, joining the club is a good way to learn more about the breed and to become acquainted with local breeders. We have no geographic residence requirements. Although many of our members live in the state of Colorado, we also have members in surrounding states and even in a few distant states. BMDCR membership applications are available here and from the Membership Chairperson. There are three levels available; sustaining, voting, and junior. Sustaining and voting memberships require two sponsors who are members of the BMDCR If you do not know anyone who is a member of our club (your dog's breeder, a Berner-owning friend, etc. ), the Membership Chairperson will be glad to put you in touch with members in your area. Voting membership also requires attendance at two of the most recent four club meetings. Junior membership is described below. All members are expected to subscribe to the Code of Conduct of our parent club, the BMDCA, which has also been adopted by our club. A printed copy should be signed and returned with your application. If two or more adults from the same household are applying for membership, all of them must sign the Code of Ethics. There are no minimum participation requirements to remain in good standing with the club. New members are encouraged to attend meetings and activities, to serve on committees, and to help with events, but are not required to. Your level of involvement is up to you. Can kids be involved in the club? BMDCR welcomes and encourages Junior members. Our Junior membership category is for children under 18. Junior members pay reduced dues and do not have voting privileges. Becoming a Junior Member is a way for kids to show support for the club. However, all members' children are welcome to attend club events, whether or not they are officially Junior Members. Many of our activities are designed specifically with families in mind. Kids who are especially interested in dogs, and who may already have some experience with conformation and/or obedience competition--e.g., through 4-H or junior showmanship classes--are welcome to participate in our fun matches and training clinics on an equal basis with adults. If your child is just getting started in dogs, we have experienced kids and adults who will be glad to give him or her instruction and guidance. I don't want to join the BMDCR at this time. Can I still participate in club activities? Our meetings, fun matches, and most activities are open to all Berner fanciers, whether or not they are club members. Prospective Berner owners, and new owners, are welcome to attend. Very occasionally, for an activity which has a participation limit, we may give preference to club members. This will be clearly specified in the event description. Club events are listed in the Calendar section of this website. Click on DONATE below to access the online option to pay the fees applicable to your Membership Application. 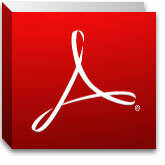 Recommend Adobe Reader 8 or higher.